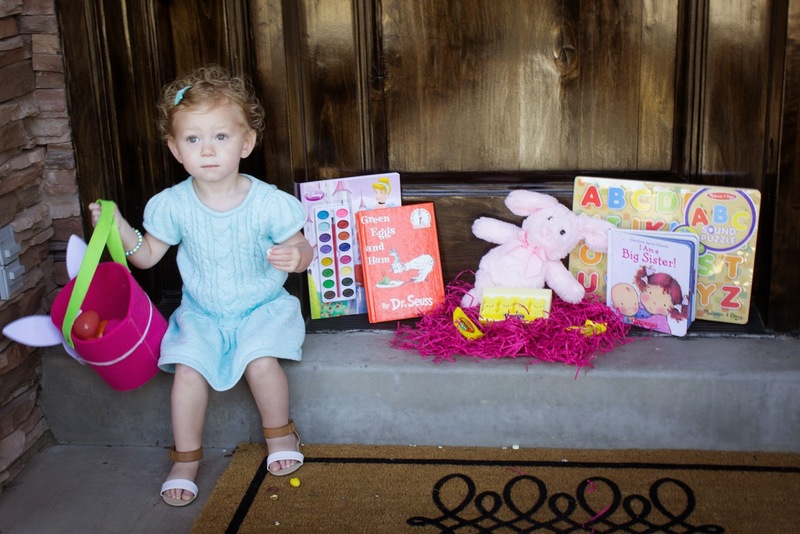 Last year Dollie's first Easter was spent in a hotel room...not a lot of space to say the least. 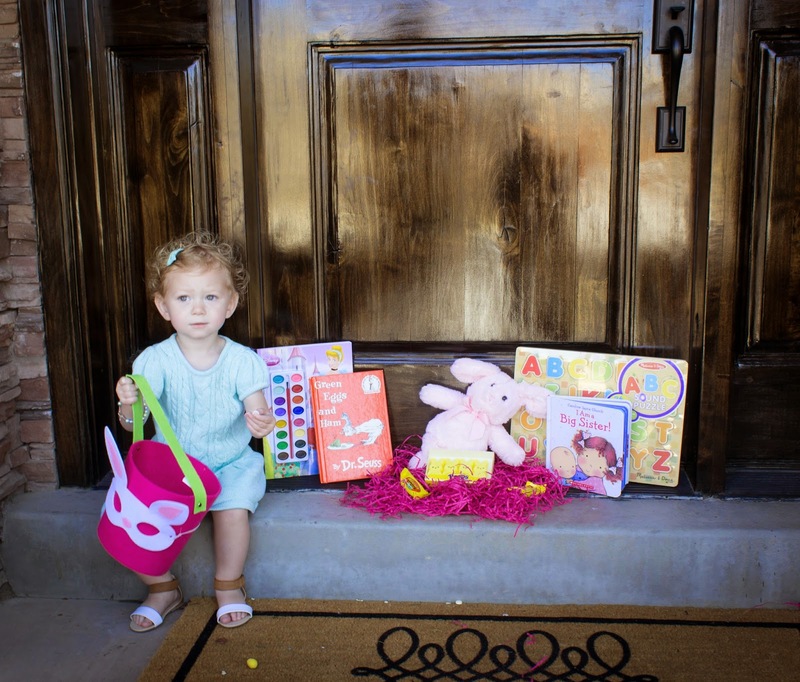 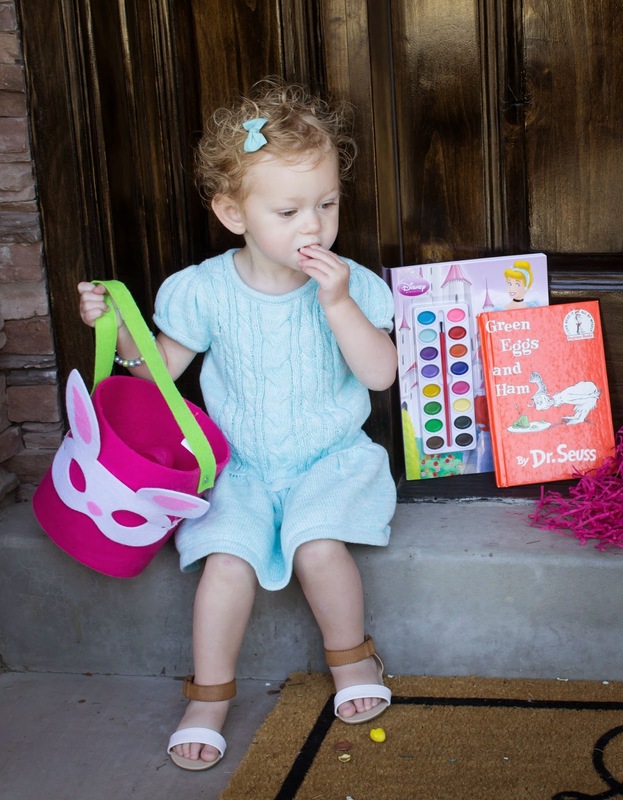 We had so much fun celebrating Easter this year with Dollie. 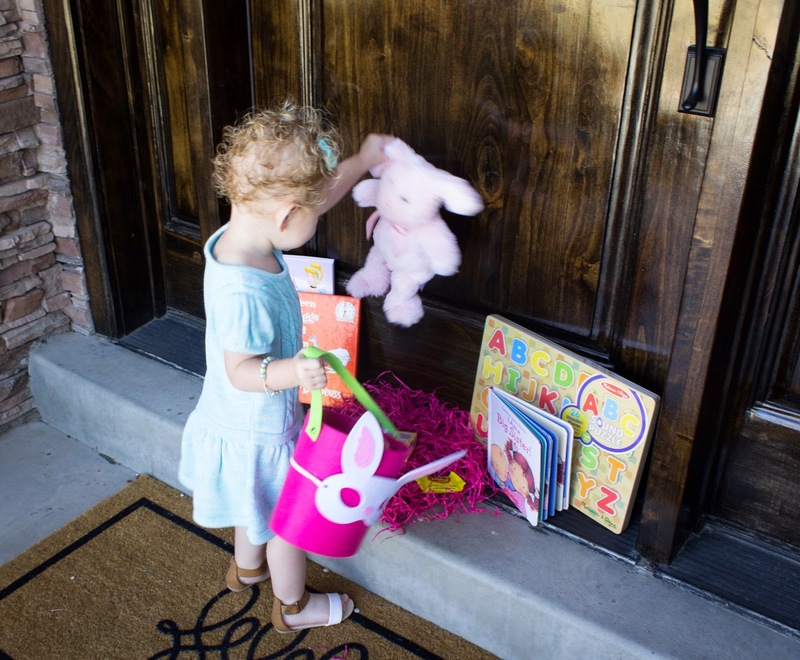 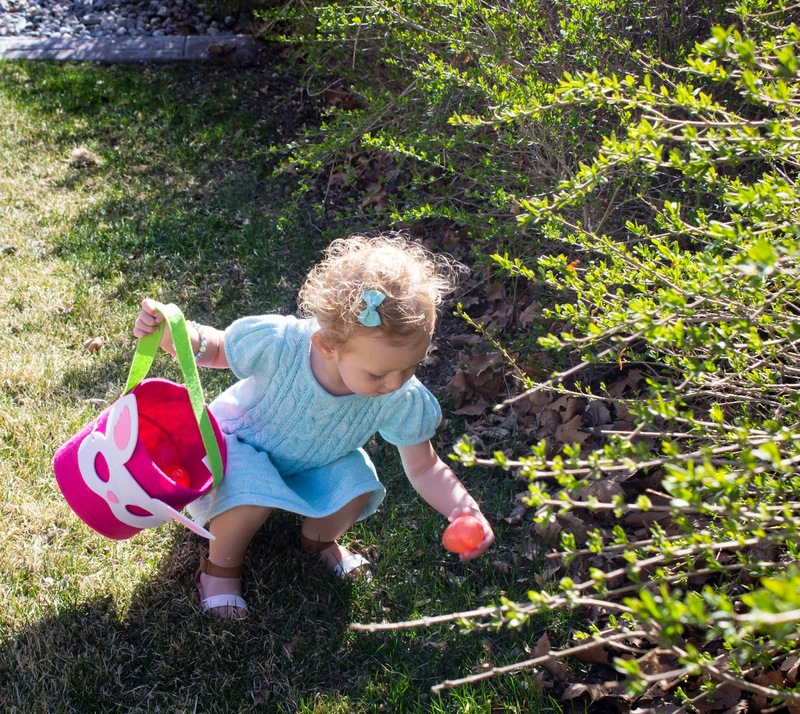 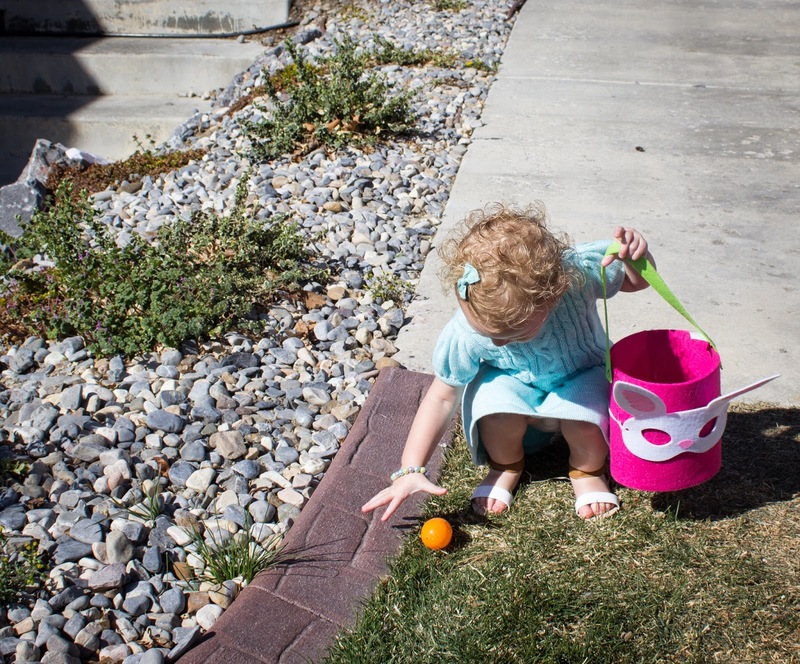 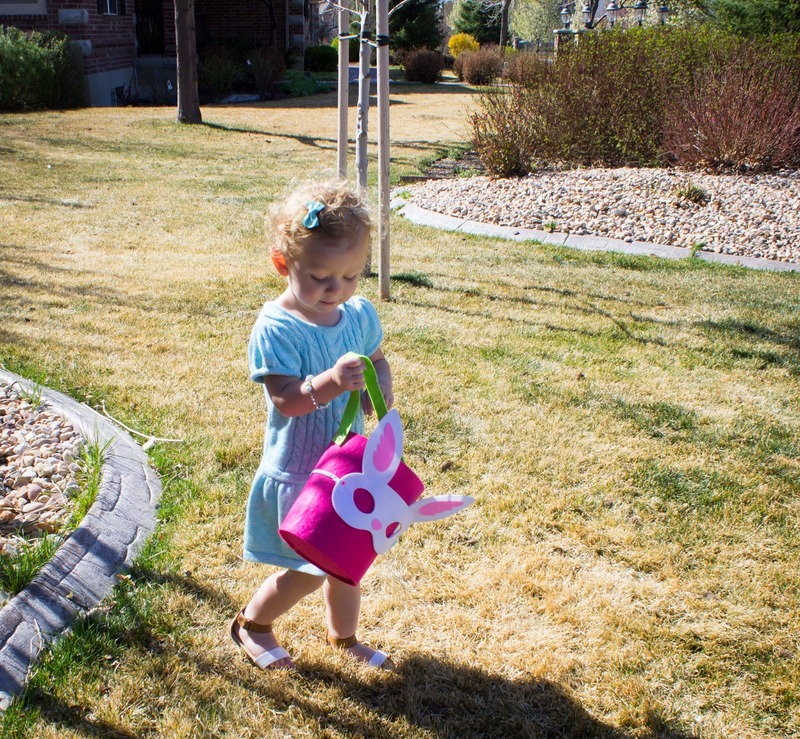 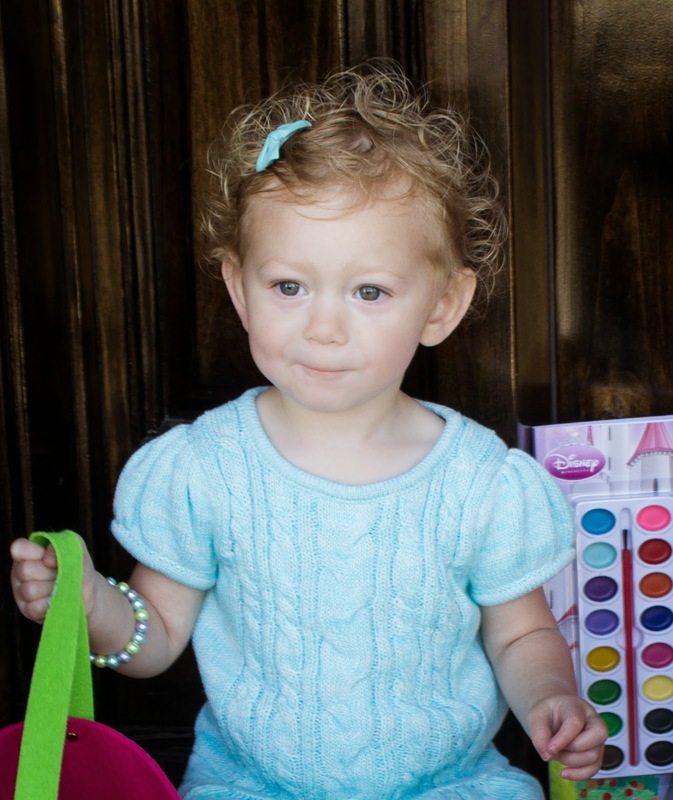 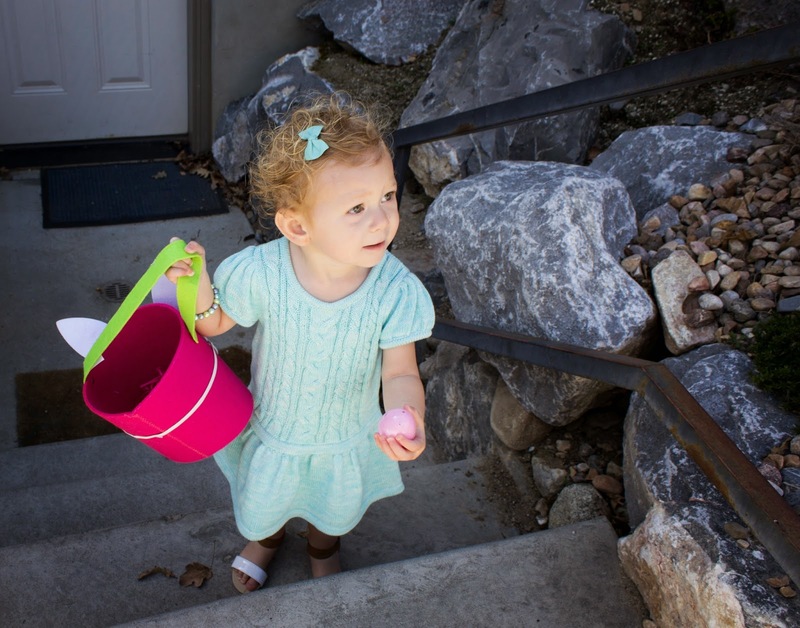 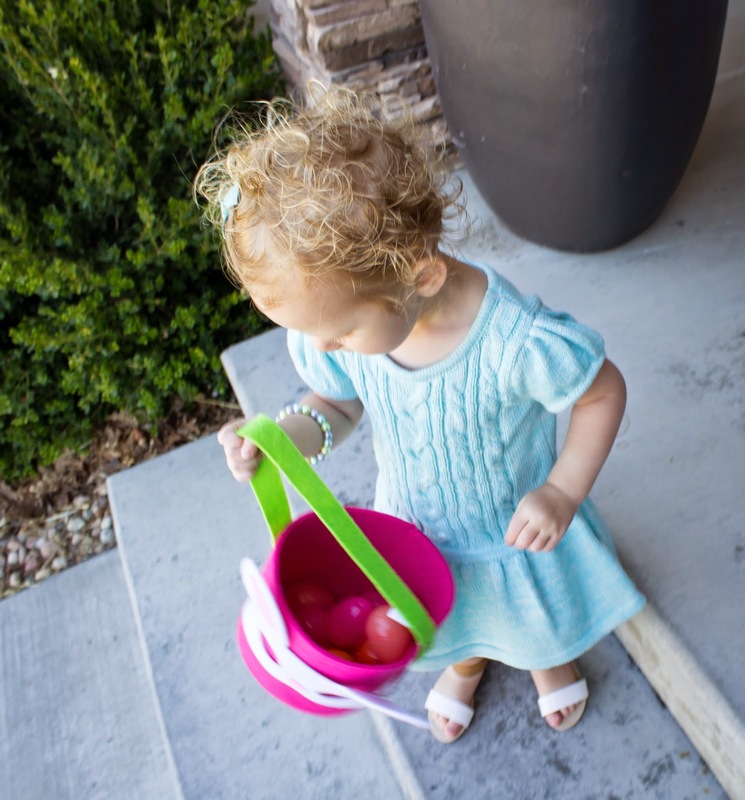 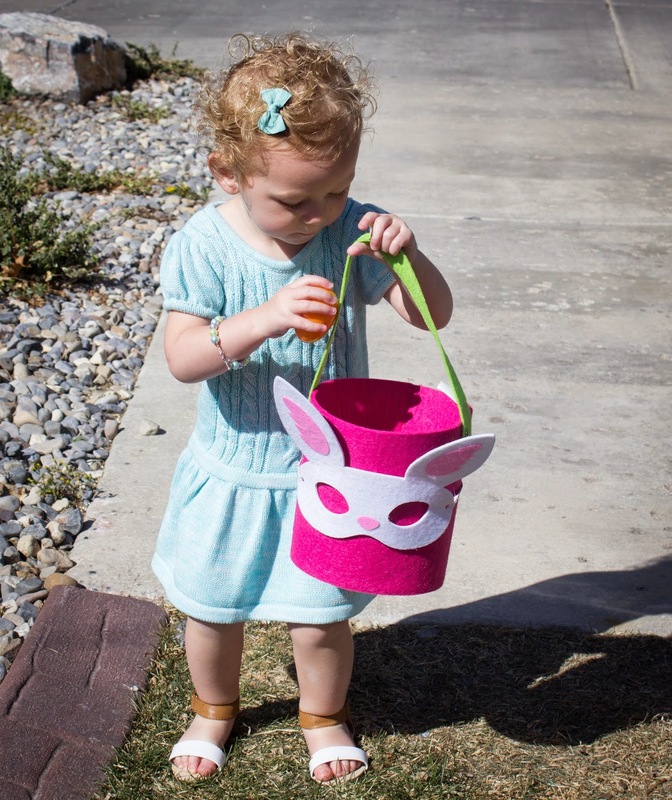 I snapped a few photos from the Easter egg hunt we set up for her around the yard leading up to her gifts from the Easter Bunny. 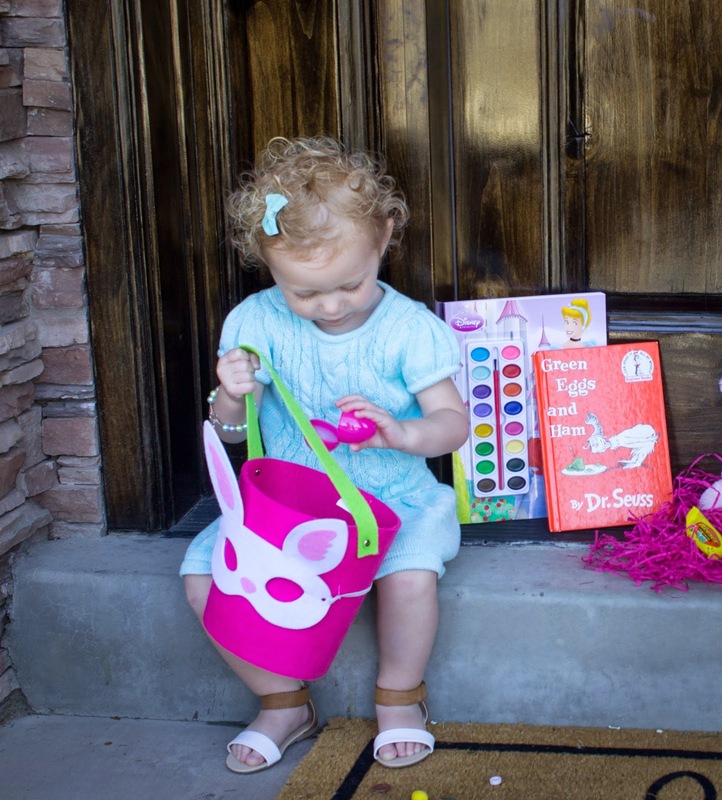 Hope you all had a wonderful day with your loved ones!